This post brings out all the feels: Thrilled, overwhelmed, honored, humbled, overjoyed, grateful. 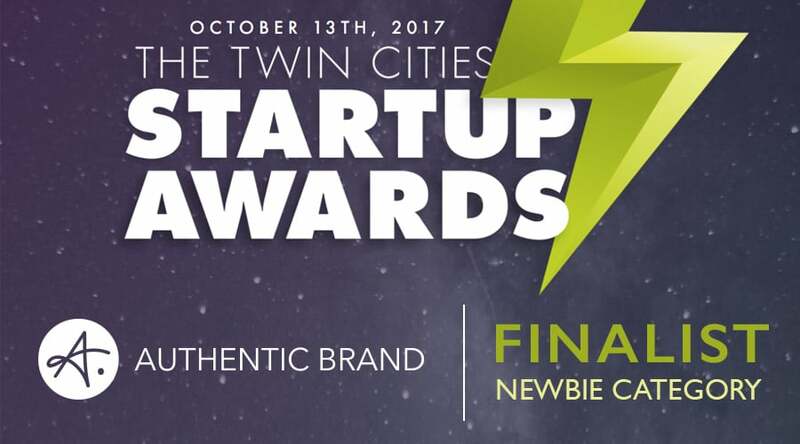 Yesterday, I learned that Authentic Brand is a finalist in the “Newbie” category of the Twin Cities Startup Week Awards. This award recognizes “a hungry newbie to the local startup scene”. These past seven months have been filled to overflowing…lots of hustle and heart, moments of anxiety and questioning, affirmations in the form of new clients, referrals, testimonials, requests for more work. I am so incredibly grateful for the community of support around me and my growing team! Among SO many amazing local startups that deserve this recognition, I feel incredibly blessed. To our clients, consulting team members, EOS community of implementers, partners, and advisors, I say: Thank you. None of this would be possible without you. I can’t wait to continue growing with all of you! Now, for the fun stuff…COME ON OUT and celebrate with me, and a couple hundred other local entrepreneurs! This Friday, Oct 13th, 7pm – 11pm. Tickets are FREE (while they last).